The Minister of Transportation, Rt. Hon. 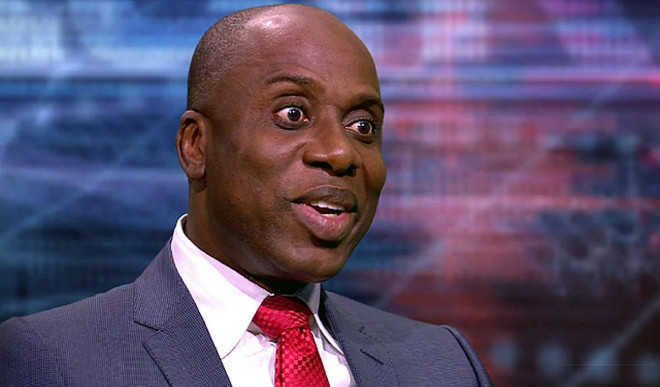 Rotimi Amaechi has said the private sector players cannot extricate themselves from the failings of the Federal Government in delivering an efficient transportation system to the country, saying they had failed in playing their roles effectively. Amaechi spoke on Thursday in Lagos during a Government Meets Business forum organized by the Institute of Directors of Nigeria (IoD) with the theme, "Transportation: A Vehicle for Development". He said private sector players in Nigeria are 99 percent dependant on government, adding that they are not reliable as investors. He said government had in the past provided funds for the private sector but such funds were either misused or diverted. Amaechi recalled that a private sector player in Nigeria got a loan of N32bn to develop the aviation sector but diverted the money to open a bank outside Nigeria, saying up till now nothing had been done to him. At the forum were key transport stakeholders including the Director General of Nigeria Maritime Administration and Safety Agency (NIMASA), Dr. Dakuku Peterside; Managing Director of Nigeria Railway Corporation (NRC), Engr. Fidet Okhiria, among others. Amaechi added that the government has opened up the transportation sector completely to the private sector, noting that the aviation and infrastructures at the Sea Port had been privatised. According to him, the only area yet to be privatised is the railway. However he said talks are currently ongoing with the General Electric to take over the railway sector, disclosing that the Federal Executive Council (FEC) had last week approved the concession plan.